"There are not a lot of positives here. For the past five years there has been virtually no movement. We are not improving," Interim Education Commissioner Wayne Lewis said. LOUISVILLE, Ky. (WHAS11) — A new school accountability rating system released Wednesday morning shows Kentucky's public schools, as a whole, aren't seeing a lot of progress. Test scores are flat, while student achievement gaps are creating barriers to college and work readiness. "There are not a lot of positives here. For the past five years, there has been virtually no movement. We are not improving," Interim Education Commissioner Wayne Lewis said. "And achievement gaps between student populations continue to be incredibly disturbing." In all, KDE identified 51 schools for Comprehensive Support and Improvement (CSI), meaning they are in the bottom 5 percent of schools at their level (elementary, middle or high) in the state or had a graduation rate below 80 percent. These schools will receive state support in the current school year to help them improve. "It is imperative that we ensure every group of students is performing at high levels. We can't leave groups of students behind," Lewis said. "This is a moral issue. Our expectation must be that all of our students can learn at high levels, regardless of income, gender, race/ethnicity, or disability status. It is the schools' responsibility to identify approaches, curricula, and strategies for meeting students' needs. Our students and their families depend on it, and our Commonwealth depends on it." Of the 51 CSI schools, 21 Jefferson County Public Schools made this list, but the district says its share of the state's lowest-performing schools dropped by a third. Click on the link below to view the full PDF of the assessment. "As we look at these results, we see the challenges but we know what is possible," Superintendent Dr. Marty Pollio said. "I believe our Academies of Louisville initiative will help increase transition readiness, and we have strategies in place with our racial equity policy to help close the achievement gap with our students. We will move this district forward." "We recognize there is a long road ahead and we must improve student outcomes. The groundwork is in place and we are implementing that work at all levels," Dr. Pollio said. "Significant investments have been made to ensure that students will succeed. There is more instructional support in schools than ever before in this district, and I have no doubt we will see results and success." Along with Jefferson County, schools in Bullitt, Shelby and Hardin County also made the priority list. "We recognize there is much work to be done. 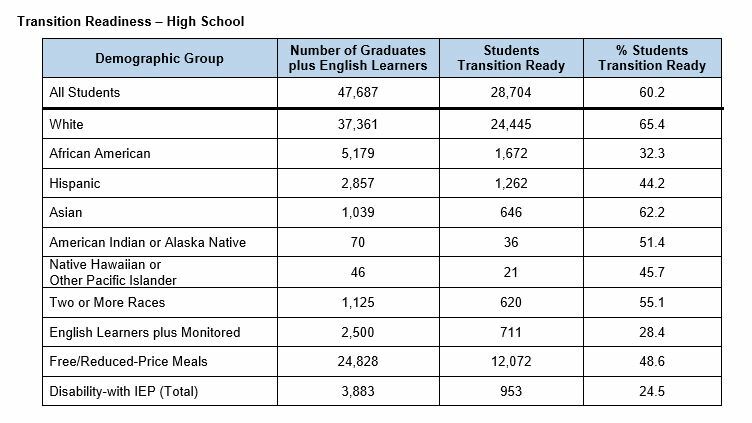 Two of our schools are performing below the recommended threshold and we have several schools that must provide additional support to specific student populations to ensure that all kids receive equitable, engaging, and high-quality learning experiences. We have already taken steps to initiate a comprehensive review of school and district level instructional systems. Input from students, staff, parents, and community members will drive our improvement efforts." There is a bit of loophole in this new accountability system. The Courier-Journal reports some of the lower performing schools may not have made this year's list because they showed enough growth in areas like math and reading to avoid the distinction. Therefore, schools like Byck and Roosevelt Perry Elementary won't receive the same state assistance they've had in past years when they were given priority status under different standards. The Courier says under the old system, "JCPS accounted for 75 percent of all priority schools. But under the changes, less than half of the CSI schools are in the district." Another 431 schools across the state were identified for Targeted Support and Improvement (TSI) as a result of having at least one student group performing as poorly as schools in the bottom 5 percent. Lewis says it will remain the district's responsibility to handle each school's needs accordingly.